Our dedicated and highly experienced team of Surgeons, Specialise in the Surgical Management of all Thoracic Diseases pertaining to the Lungs, Esophagus, Mediastinum, Chest Wall and Diaphragm. We at Narayana Health specialize in the surgical management of all thoracic diseases pertaining to the lungs, esophagus, mediastinum, chest wall and diaphragm. We are a state-of-the-art tertiary referral centre offering all major thoracic surgical procedures such as complex lung resections including segmental and sleeve resections for lung cancer, tuberculosis and other infective conditions, emphysema and congenital lesions. Tracheal surgery and reconstructions is our forte and we have the largest series of tracheal reconstructions in Karnataka. The unit also specializes in Video Assisted Thoracoscopic Surgery and Mediastinoscopy (one of the few in the country) capable of performing major intra-thoracic surgical procedures through “key holes” with the help of a thoracoscope. We have a considerable expertise in surgery for major mediastinal tumors, chest wall tumors and reconstructions. We are also well versed with esophageal surgery for cancer, strictures, etc. Management of major cardiothoracic trauma due to road traffic accidents, assault and stab injuries, gunshots, etc., are some of the routinely handled procedures and surgeries. Due to our capacities of handling the most intricate cases with immense diligence, we have become a major referral centre for all types of thoracic surgical problems. 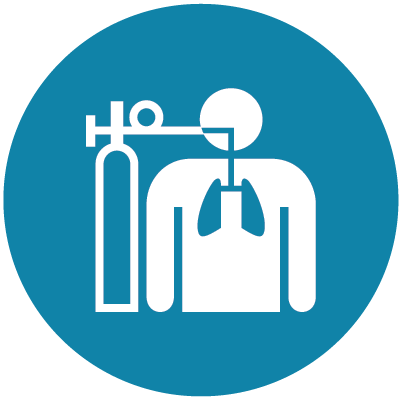 Lung volume reduction surgery is performed for emphysematous conditions as well as chronic COPD on a regular basis. Health City, Bangalore has been accredited and ready to embark on a Lung and Heart-Lung transplant programme. We are ably complemented with well equipped systems of Chest Medicine with very experienced Chest Physicians, Interventional Pulmonologists and respiratory technicians and it makes us a 'one stop centre' for all thoracic surgical conditions.